GUERNSEY: Les Residences - Perfect for couples! 2017 Prices held for 2018! The warm welcome includes wine! No shuttle bus transfer - Airport & Harbour Depot! Our team has over 60 years experience arranging self catering holidays in our beautiful islands. Simply enter your holiday dates in our search facility as the first step to finding your ideal holiday home. From there you can find your accommodation and book online. Bookings are now being taken for 2019, 2020 and beyond. We have specific properties that are ground floor or lift access. The option will show properties which are most likely to suit your needs. If you are bringing your pet on holiday select this option in the search criteria. If you are looking for affordable Jersey holiday cottages or Guernsey self catering holidays, we can help. At Macole’s, we are proud to provide our customers with endless options when it comes to booking Guernsey and Jersey holidays. Browse our portfolio of properties online at your leisure. Here at Macole’s, we understand that our customers want a simple way to search for their ideal holiday accommodation online. Whether you want to be by the beach or within easy reach of the restaurants and the bars, we have a property to meet your specific requirements. If you would like more information on a particular property on our website, please do not hesitate to get in touch. We have years of experience in finding the perfect Jersey and Guernsey self catering cottages to suit budgets of every size. A member of our team is on hand to offer you expert holiday advice. Booking holiday accommodation needn’t be stressful. Searching for self catering in Jersey has never been easier with Macole’s. It is our mission to take the stress out of choosing the best self catering Guernsey and Jersey holidays. Browse our website for the best deals on holiday accommodation and take advantage of our significant savings online. Your dream holiday starts here. Get in touch to discuss your next trip. We cover over 95% of all Jersey self catering and offer unsurpassed levels of customer service and local knowledge. Our Jersey cottages are designed for couples and families alike. Macole’s are committed to consistently offering the widest range of Jersey Self Catering holidays. Our properties are located at various locations across the island including beach side, country and town centre convenience. 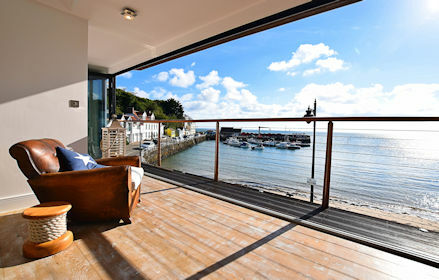 Macole’s have been specialising in the rental of Channel islands holiday homes for over 27 years. The choice of short breaks in the island is limited, however, our online search facility allows you find the best self catering to meet your needs.